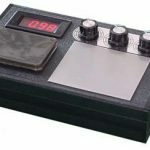 The CS2000/ CEG 1000 (Dual transfer model) is a low pulse chi generator with floating frequency, and this exceptional tool is designed to charge yourself and others by pointing at them. 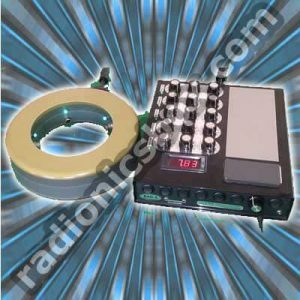 The CS2000/ CEG 1000 (Dual transfer model) is a low pulse chi generator with floating frequency, and this exceptional tool is designed to charge yourself and others by pointing at them. The CEG 1000 is also water enhancing (simply point at water dispensers, glasses or bottled water – a minute onto a glass or bottle, about 5-10 minutes at a dispenser) and you can use it to charge food, supplements and drinks. 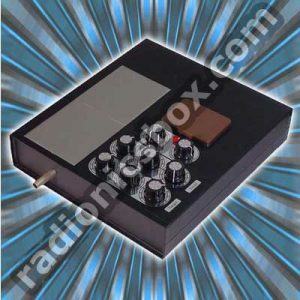 It has the same power as JU 1000, the AO2000 or the RAD 1000. 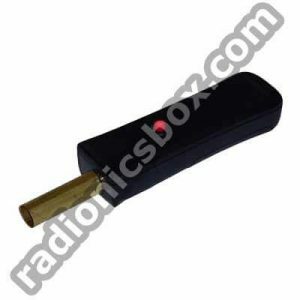 You can point it at anything at a distance – as I mentioned before: persons, water and food, and as well pets, aquariums, water tanks and a lot more. 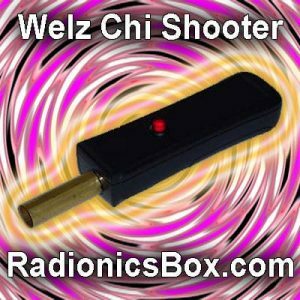 In some ways it compares to the Reichian orgone shooter with that funnel which is pointed at persons and the like, and which funny funnel reaches just a few inches. The CEG 1000, contrary to the Reichian contraption, reaches a lot farther – even at persons some 100 feet away or at water and food some ten feet away. You can point it at locations in living spaces such as chairs and whenever when people there, they pull this energy. Quite naturally, into these locations as well as directly to people you can project feng shui energies or any other energy, and if projected at a location, people can benefit from the projected life force with attached trend energy, or desired effect, whenever the are in this location. You have the choice: two built-in transfers to other and powerful generators, which gives the unit a lot more power – We can give you an online demo about this, and show you the difference in power whenever you video call us. As I mentioned, you can point your life energy shooter at food, water, supplements and humans which you want to help as well as locations. Of course you can point it at pets – at their favorite place – simply set it up somewhere that it points there. You can charge plants – a few minutes a day can greatly help. You can point it at aquariums to provide fish and plants therein with life force. 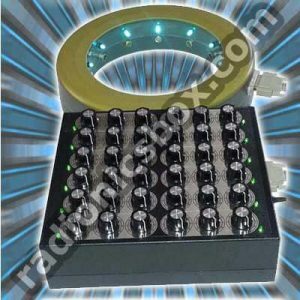 Of course you can also use transfer couples (TC 99) to provide yourself with a continuous charge or give such a transfer to others persons whom you want to help. We are also offering chi coasters, onto which you can put food, water, supplements and drinks, and you can take this chi coaster with you in your purse or wallet, and receive an energy transfer from your Chi energy shooter similar to the transfer couple. As with any other Chi Generator®, you can also charge business cards, flyers and catalogs. When you have a strong generator, you can charge water tanks, for instance if you own a farm – naturally you can also charge the water that you give to your farm animals and charge the animals in their stables or other places where they are very often, simply by pointing your generator there, and the animals are going to pull the life force whenever they are in that location, or, if you have a reverse osmosis system or a water filter, you can use a chi coaster to charge these tanks. Simply do it and taste, and you are going to surprised.